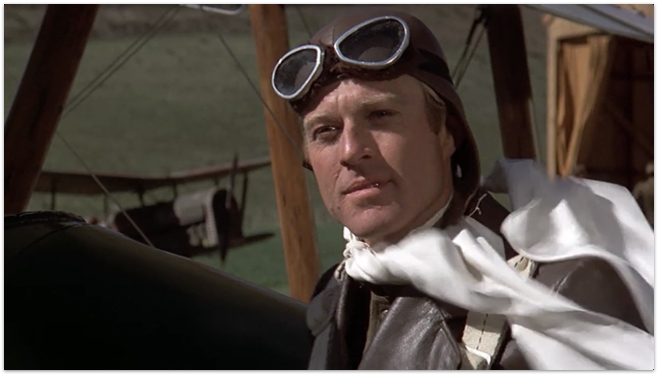 Waldo Pepper (Robert Redford) isn’t only devilishly handsome, but he’s also a fearless dare-devil flier during a time when flying was a new and quickly changing freedom. 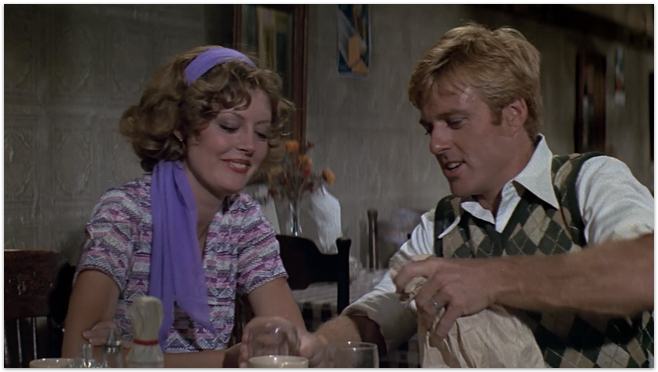 I enjoy any chance to watch Redford on screen during his glory years (Hello, Mister Studly! 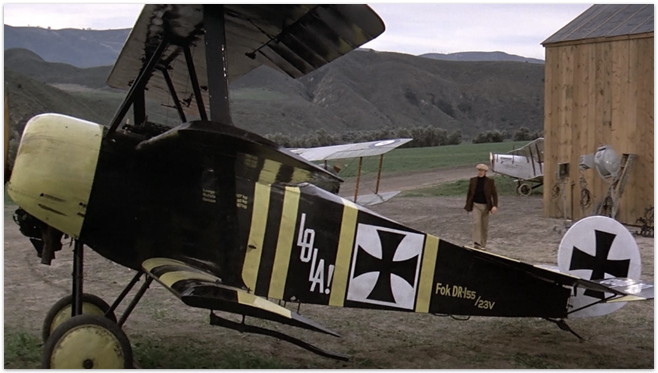 ), but I was especially interested in a period movie about early aviation’s stunt fliers. 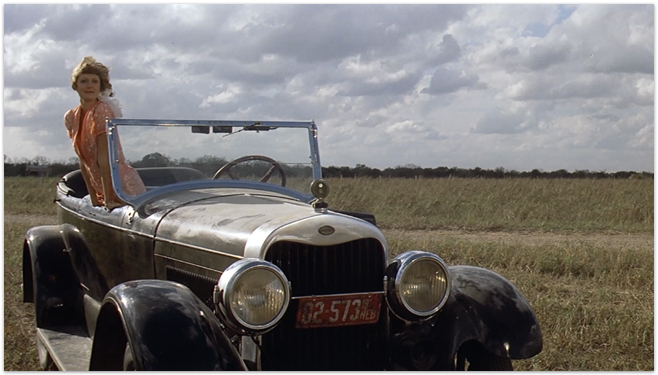 Also, I wanted to see a young Susan Sarandon. Curiosity piqued. About halfway through The Great Waldo Pepper, during an intensely nerve-wracking stunt scene, I began to remember watching this with my dad when I was a kid. And then I remembered that this movie isn’t the fanfare and fluff that I thought it might be. It’s actually pretty heavy-hitting and metaphorical, if you’re a thoughtful movie-watcher. 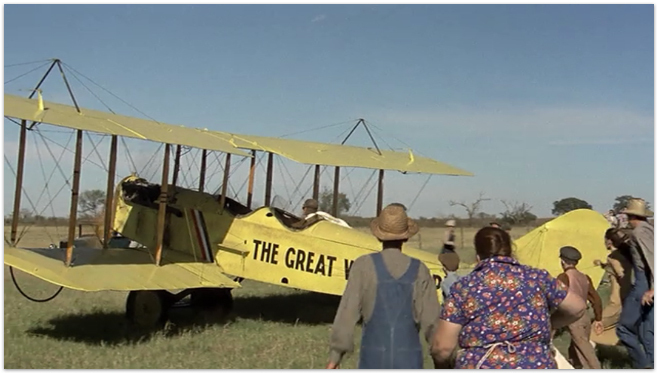 The movie begins with Waldo Pepper eeking out a living by flying through Midwestern towns, drawing in crowds with his stunts, and giving people rides in exchange for five dollars. When he has a run in with another pilot stuck in a similar kind of life, they team up and scheme together to create thrilling and death-skirting stunts that will draw bigger crowds and give them the adventurous careers they always dreamed of in the wide open sky. After World War One, men who trained as pilots didn’t have anywhere to employ their skills except for in circuses and on Hollywood sets. Aviation was a new concept, and commercial flying wasn’t a career in demand, or particularly an appealing prospect for men who had battled in dogfights during the war. 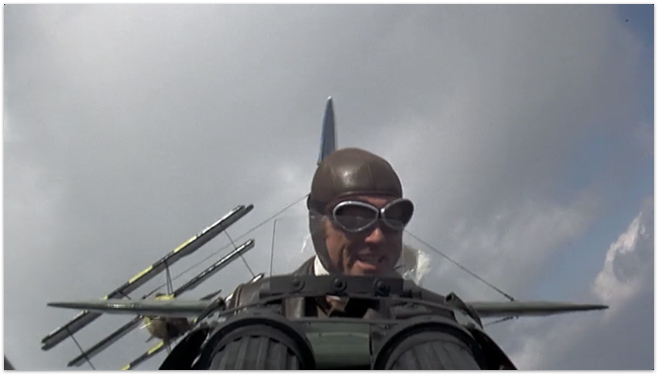 Men like the fictitious Waldo Pepper risked their lives just for the thrill of flying, the prestige of conquering a new feat, and the freedom they found in the air. But that freedom was quickly changing, and men like Waldo Pepper fought against it in their own daring ways. I love the nostalgia of the Midwest during the 1920s, and The Great Waldo Pepper captures its beauty so well with the sweeping scenes of brightly colored planes against the American landscape. 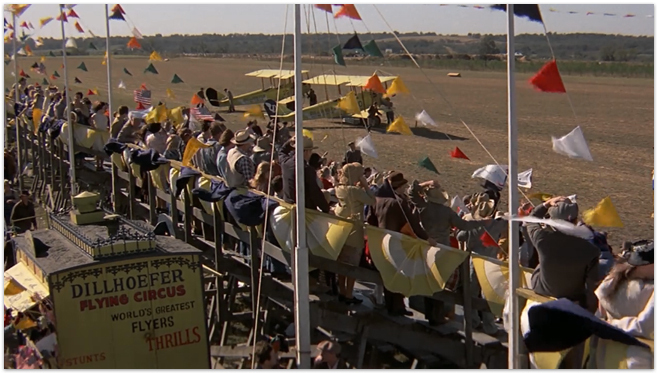 The cinematography sweeps you up in the carefree attitude of the fliers, contrasting itself with the tragedy and abandon in the characters’ lives. The Great Waldo Pepper isn’t a light watch, and be careful watching it with kids- I can remember being very agitated at the stunts and crashes that occurred in the story. But it’s a great one to analyze and find a fellow movie geek to pick it apart with after the credits have rolled. You can rent or buy The Great Waldo Pepper instantly here! I have gone through a few Redford obsession periods and somehow missed this movie. I think a late night, movie watching date is in order. You find out about some of the coolest sounding films that I haven’t heard of before but with actors I know of. Looks awesome. Kind of sick how Susan Sarandon looks pretty much the same today! I LOVE Robert Redford. 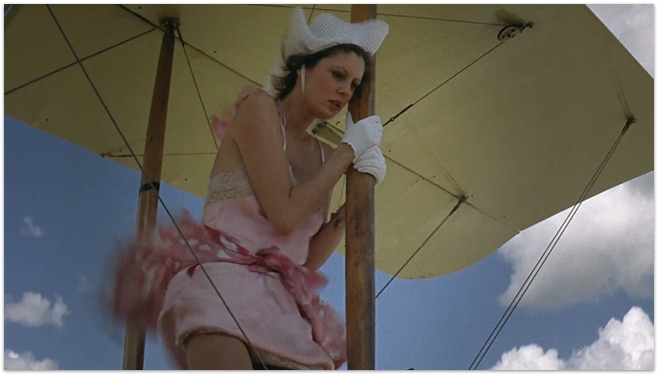 And oh my goodness, Susan Sarandon was so young! I must find and watch this! Oh I love Susan, I can’t wait to watch this! 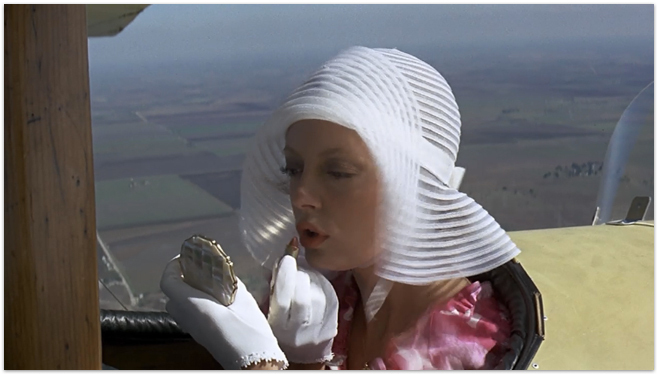 I especially love 70s and 80s films take on vintage fashion, its so wrong its right!